Magical learning! Master school essentials in a sparkly winter kingdom with princesses as your best friends. Who says learning has to happen in a classroom? Why not do it in a fairytale castle? Frozen sisters Anna and Elsa want to share their lessons and games with you. Their learning workbook has charming colour pictures, 50 stickers, a cut-out game and special ‘Let’s Read’ story sections. 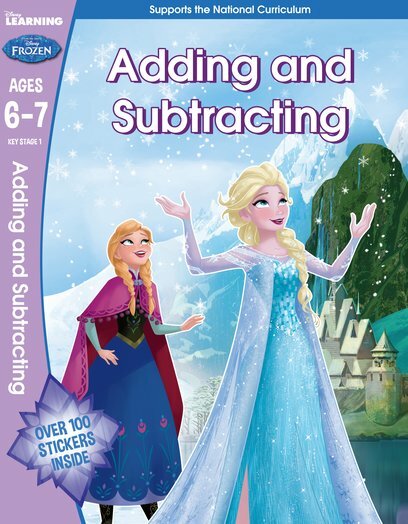 Plus: you’ll improve your counting skills in all kinds of magical ways!